Happy Mid-Week! 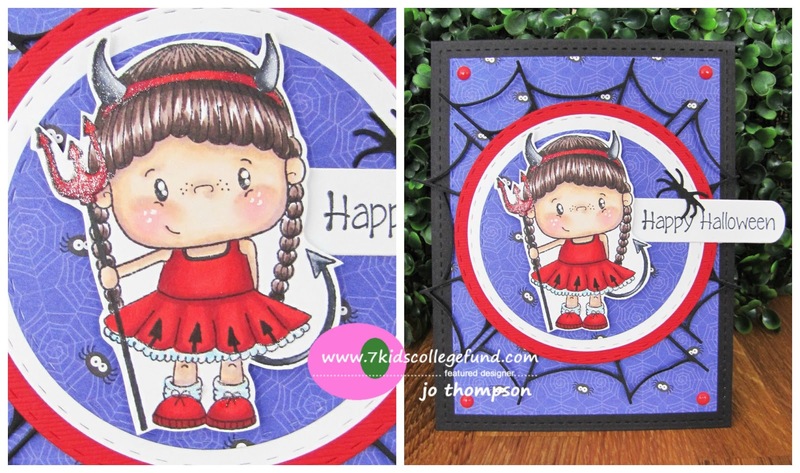 This project was created for the 7 Kids Challenge Blog, "Anything Goes". Make sure you use a STAMP/IMAGE carried in the 7 Kids College Fund Store in order to qualify. Today's card features the image from C.C. 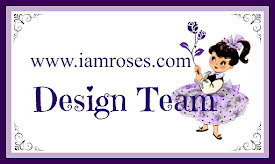 Designs - Princess Birgitta. She is colored with Copic Markers and accented with Wink of Stella in Clear. 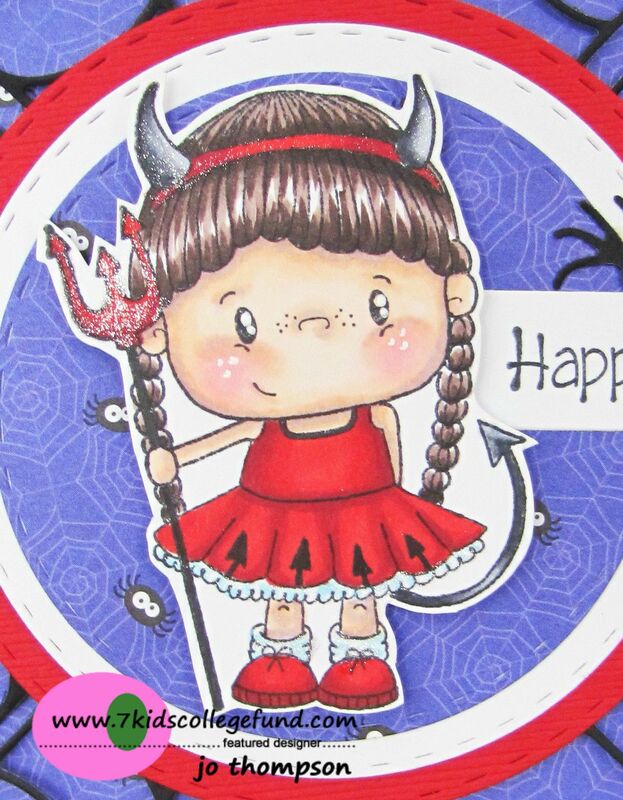 The cute scalloped stitched die is cut with C.C. 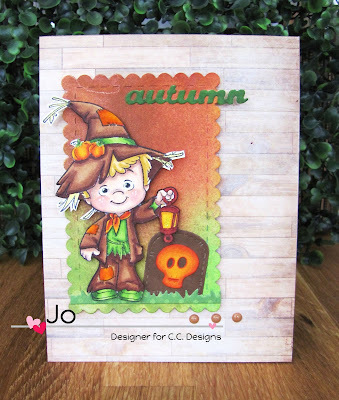 Designs - Make A Card #9 Autumn die set. I added some glittered star die cuts to match her wand. 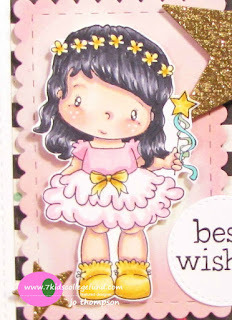 She makes a sweet and sparkly birthday card. Good Morning Weekend! I'm sharing a cute critter creation. Today's card features images from C.C. Designs - Meoples Nutty Buddies. 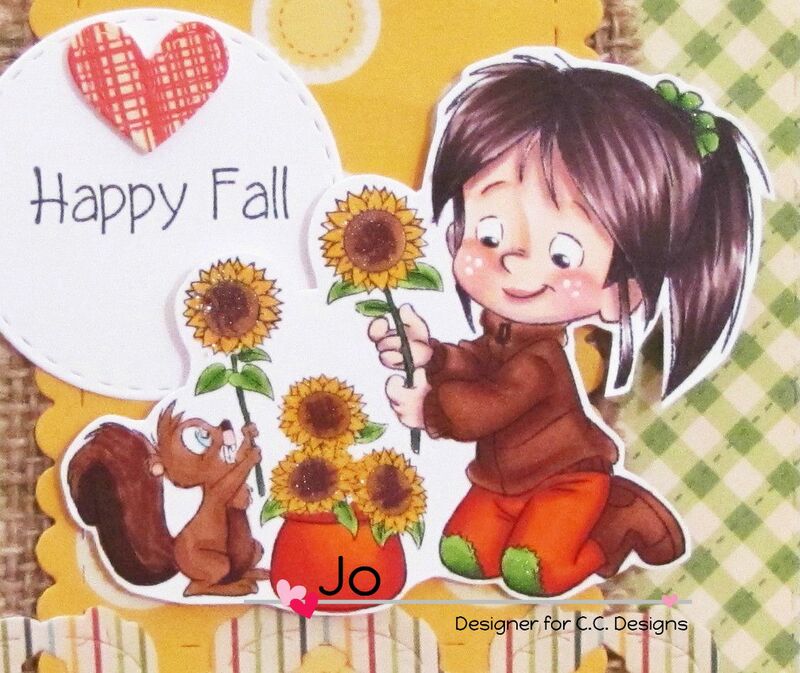 The set includes an owl, squirrel and an acorn, plus two sentiments (Happy Fall & I'm Nutty For You). I used all three critters and colored them with Copic Markers. The rounded banner is from C.C. 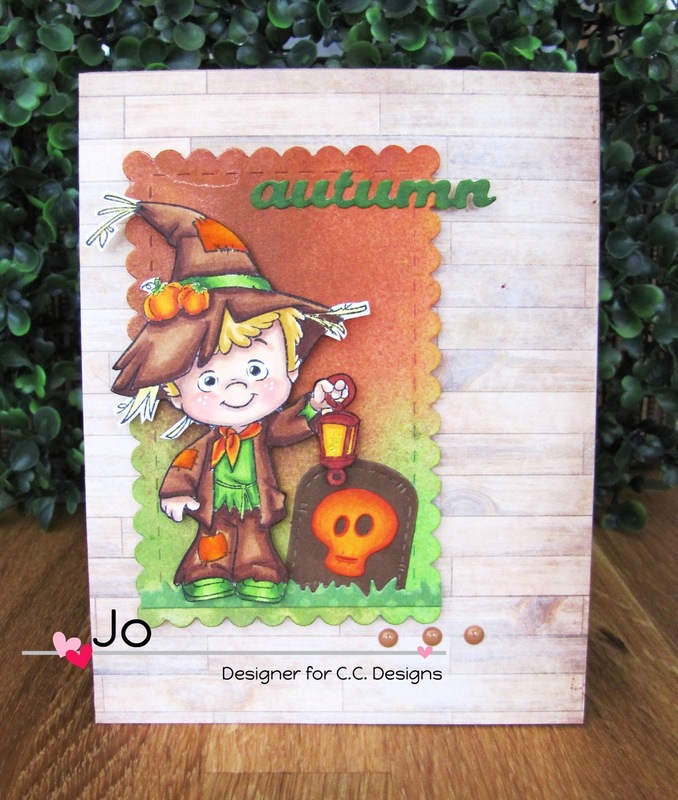 Designs - Make A Card #9 Autumn Die Set. 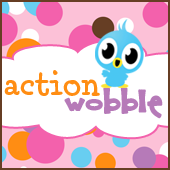 For a fun element, I placed the owl on an Action Wobble, a little spring adhesive. Hi everyone. Happy almost weekend! 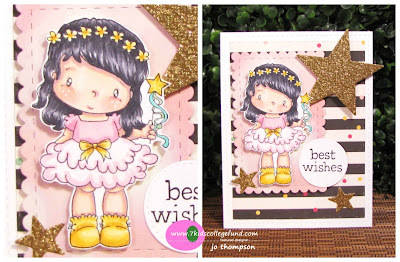 Today I'm sharing a card from the Doodle Dragon Release. I used the stamp Turkey Day. He's colored with Copic markers and I placed him on an Action Wobble for some wiggly fun. 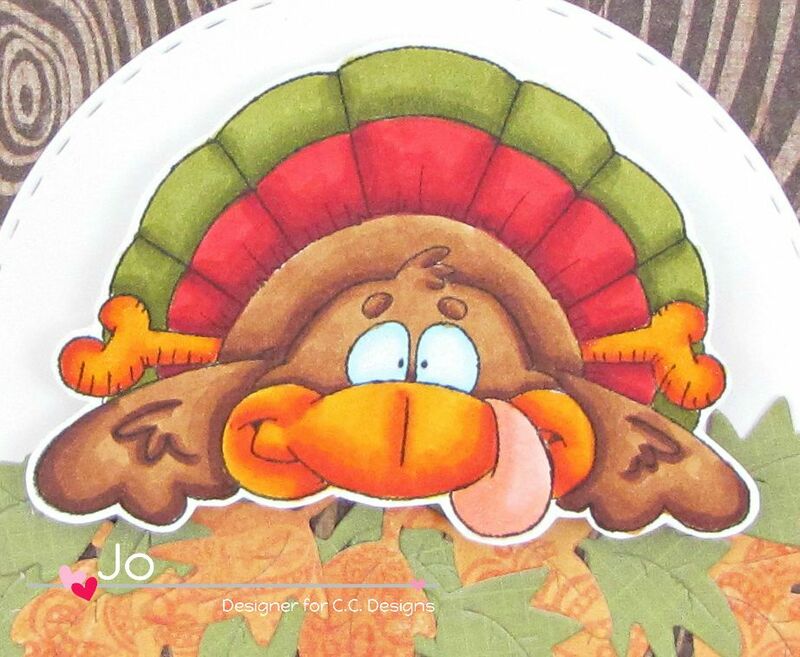 The sentiment "happy turkey day!" is included with the stamp. The leaves and the rounded banner flag are cut from C.C. 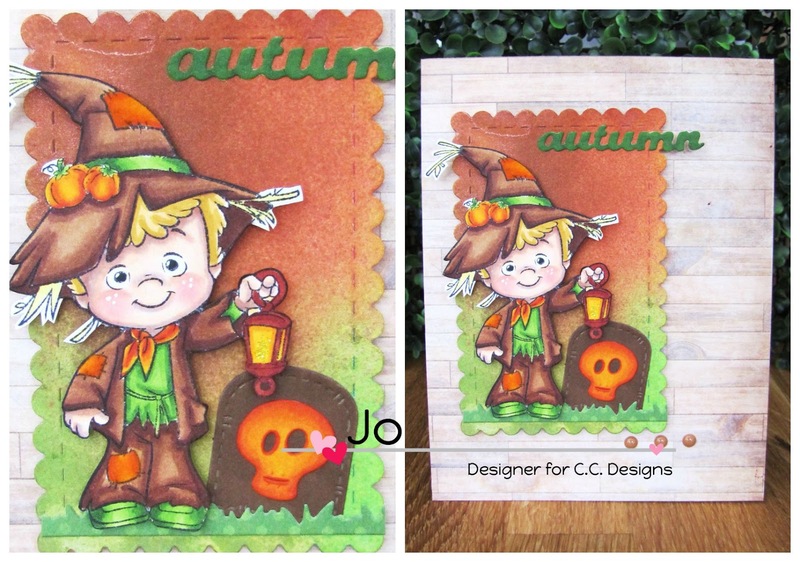 Designs - Make A Card #8 Autumn die set. Check out the other images over at C.C. Designs. Thanks for stoppin by! Hello everyone. 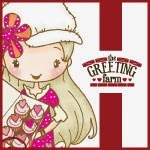 I'm starting off this week with a card using one of the new stamps from the September C.C. 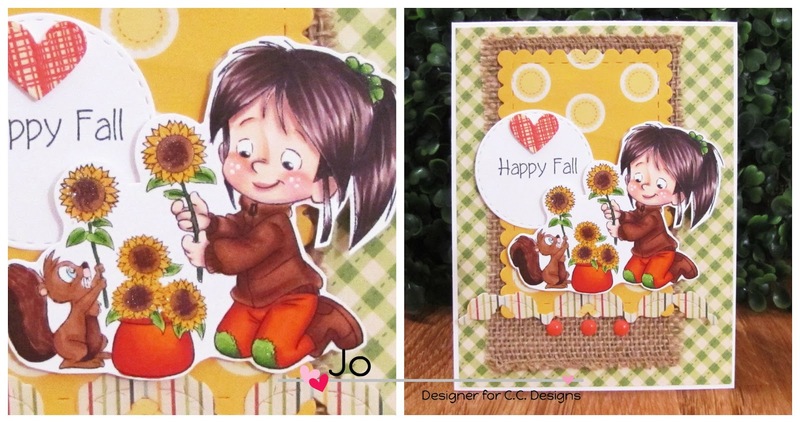 Designs Rubber Stamps Release, Roberto Rascals - Nancy with Sunflowers! She is colored with Copic markers. 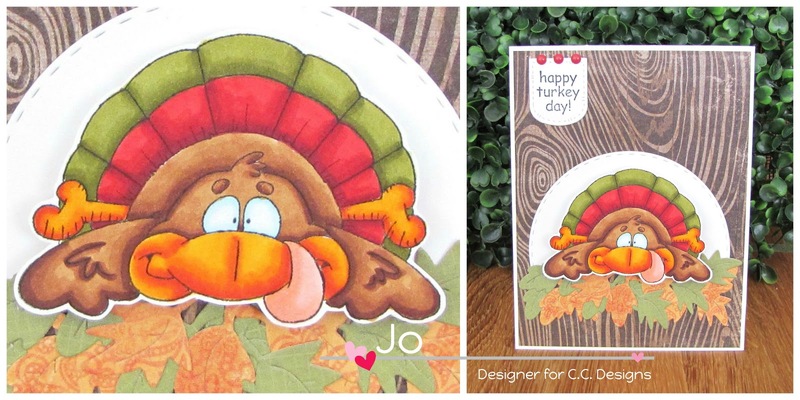 The leaves, heart and the scalloped rectangle die cuts are from the Make A Card #9 Autumn die set. I layered a piece of burlap with the designer paper for a more rustic look. 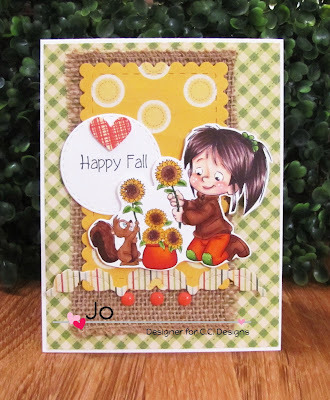 I pulled the sentiment "Happy Fall" from the Nutty Buddies stamp set. Are you guys ready for Autumn? It's Fall here where I live, but the weather still feels like Summer. Lastly I added some orange enamel dots from the Halloween Enamel Dots embellishment set. Thanks for stopping by! 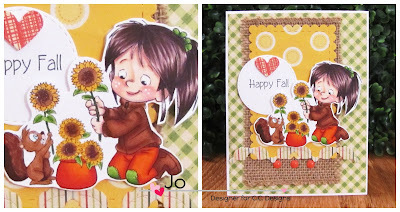 Hope you are enjoying all the fabulous projects from the Designers using the September Release! Happy Monday! 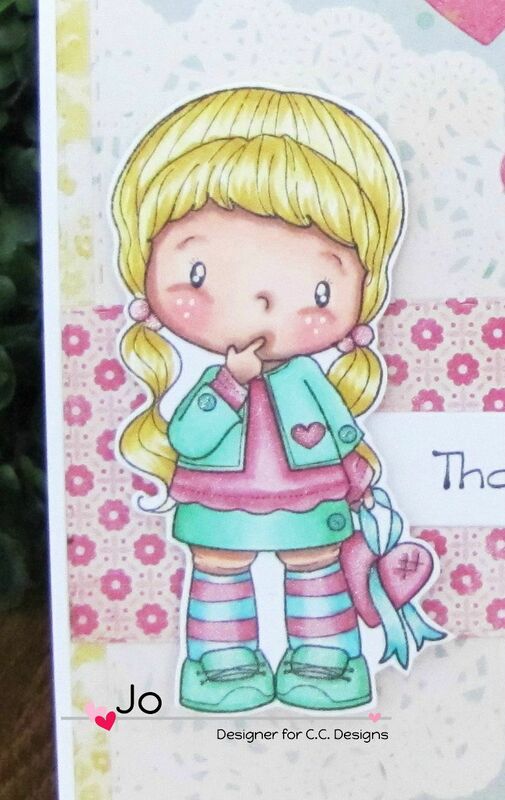 Today I share my card using Birgitta with Heart from C.C. Designs. She's so cute, even though I don't really get what she's doing with her fingers lol. She is colored with Copic markers. I used the rounded tag banner from the Make A Card #8 Halloween die set and stamped the sentiment "Thank You" from All Occasions Sentiments stamp set. Finished off with a light teal enamel dot from the Little Man Enamel Dots set. The stitched heart die cuts are from the Make A Card #9 Autumn die set. Hi everyone. 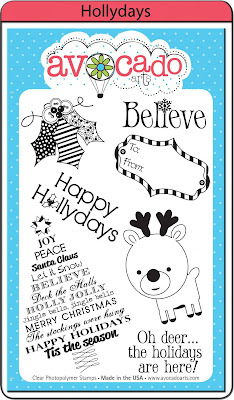 Christmas is just around the corner...sort of and I am getting a head start on my holiday cards. 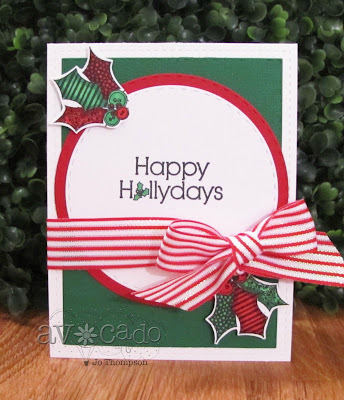 I decided to use the "Hollydays" stamp set from Avocado Arts. I used a simple layout for all three cards, which makes it easy to mass produce. I used the "Happy Hollydays" sentiment. The holly image is stamped twice and colored with Copic markers. To finish off the card, I added a red & white striped ribbon. The deer image is colored with Copic markers and placed on a dimensional pop dot. I used the "Oh deer..." sentiment in the set. Lastly, I added some red enamel dots for embellishments. This last card, still using the same card layout, features the cute penguin from the "Decemberrr" stamp set. He's colored with Copic markers and placed on dimensional pop dots. The tree image is from the "Hollydays" stamp set. I added some Yellow Stickles to the star and red enamel dots on the bottom right of the card. Thanks for stopping by! Enjoy the rest of your day. Good Morning Wednesday! This project was created for the 7 Kids Challenge Blog, "Anything Goes". Make sure you use a STAMP/IMAGE carried in the 7 Kids College Fund Store in order to qualify. 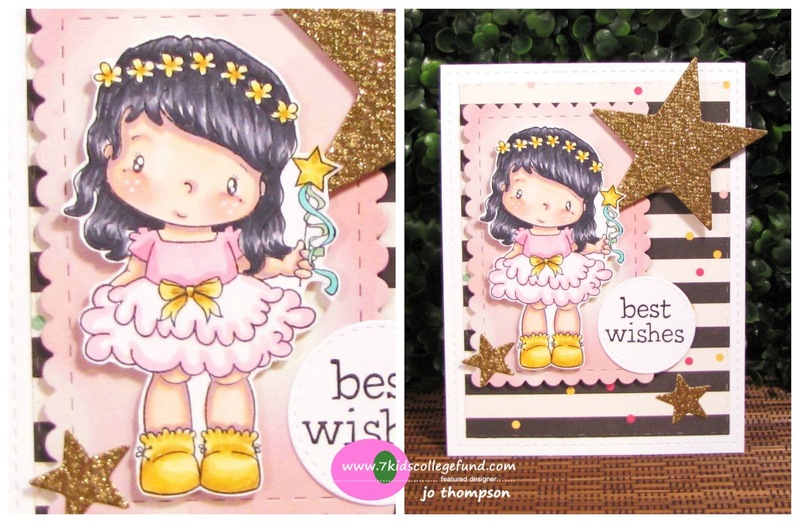 Today's card features the image Pollycraft Devina. She's colored with Copic markers and accented with Wink of Stella in Clear. The image rests on layered circle die cuts made from By DIEzyne Dies - Stitched Circles. The pattern paper for the base is cut from By DIEzyne Dies - Big Stitched/Pierced Rectangles. For added stitching detail, I used the By DIEzyne Dies - Card DIEzyne #1 die. The spider web, spider and banner were cut from C.C. 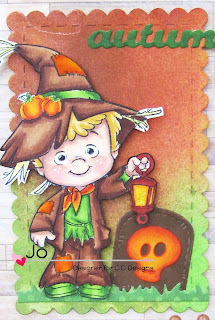 Designs - Make A Card #8 Halloween dies. 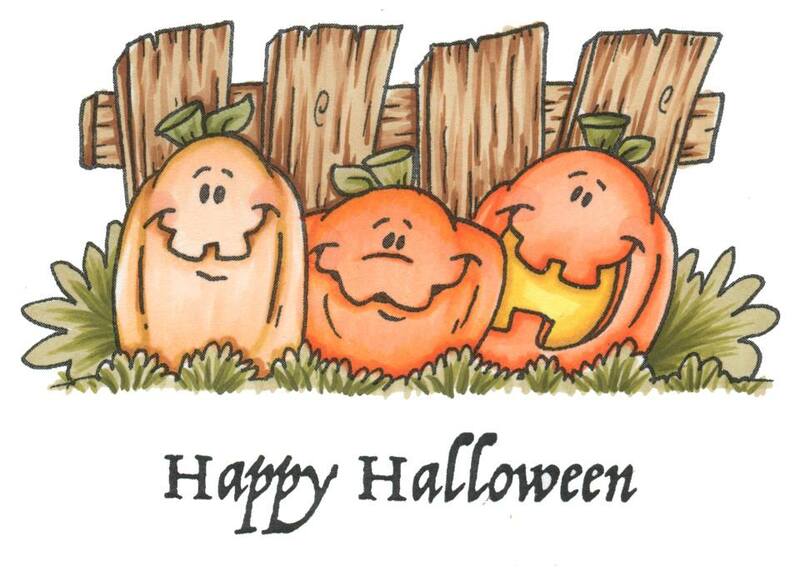 The "Happy Halloween" sentiment is from C.C. 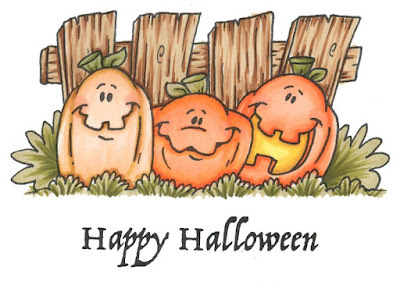 Designs - Meoples Hallo-weenies Cling set. Lastly, I added some red enamel dots on all four corners of the card. Hello everybody! Happy weekend! 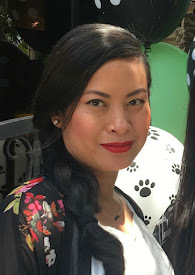 There's still time to join our current challenge over at the 7 Kids Challenge Blog, "Anything Goes". Make sure you use a STAMP/IMAGE carried in the 7 Kids College Fund Store in order to qualify. 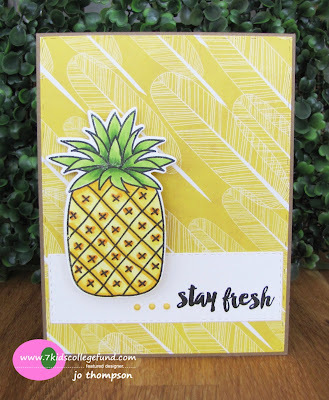 Here's my card using Avery Elle - Stay Fresh stamp set and coordinating die. The image is colored with Copic Markers and I added some Wink of Stella in Clear. I placed it on an action wobble to make the card fun. The sentiment "stay fresh" is included in the set. I added some yellow enamel dots as an added embellishment. Hope you take the time to get crafty this weekend. 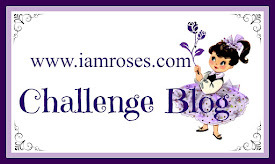 Come play with us and join the 7 Kids Challenge Blog! Thanks for stopping by! Hi guys, it's Wednesday and it's time for another card using the September C.C. 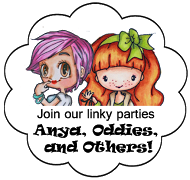 Designs Rubber Stamps Release! 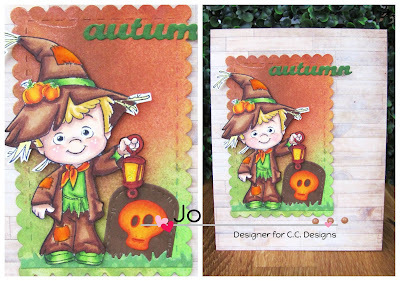 Here I'm using Roberto's Rascals - Scarecrow Henry and the Make A Card #9 Autumn Die. He's colored with Copic markers. The little patches are covered with orange flock. Love the word die "autumn", cut from white cs and colored with Copic marker YG67. There's a little banner die that comes in the die set, I flipped it and made a tombstone. The skull is from the Make A Card #8 Halloween Die. I threw in some Autumn Enamel Dots in the tan color. I sprayed Lindy's Stamp Gang in several fall colors on the scalloped die cut for my background. Thanks for checking out my card. Hope it puts you in the Fall mood. Grab this release!